There are a few ways to purchase good breeding stock. One of the best ways it to drive to a show. 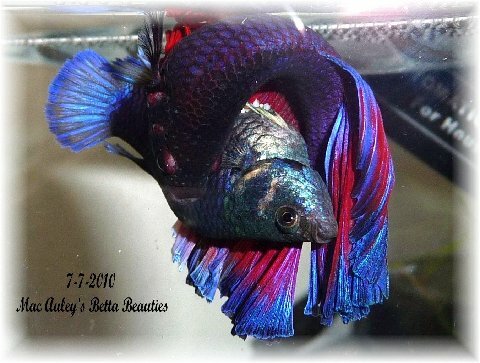 Not only will you meet other Betta enthusiasts, but you will learn a lot and have access to the auction at the end. Many breeders will send fish to show then allow them to be auctioned off at the end. Not unusual to have a fish that has won it’s class or even a variety win auctioned off for much better prices than you can get on AquaBid. And it is a place many breeders will also sell their extra stock. It gives them a way to make back some of the expenses of showing. 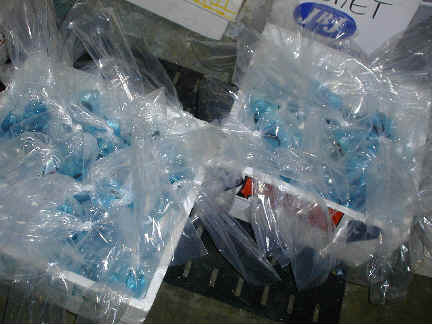 If one can not attend a show then one must find a breeder and make arrangements to have their purchase shipped to them. A very good way to get quality breeding stock is through US breeders. Many have FaceBook pages, like our 2011-2012 Grand Champion Karen Mac Auley. She has beautiful fish and offers them often on her Facebook group. A quick check of our Breeder Link page will get you even more. Other US breeders can often be contacted directly to see if they have any available stock. Becoming a member of the IBC will get you a membership list and emails for all other members. You may look up breeders that are fairly local to you and see if they have stock. Or, you can locate breeders winning in the colors you are interested in breeding. For example, if you want to breed Red Bettas you would check out the current class standing to see who breeds winning reds. Then you just contact them and make arrangements to get their stock. A simple email with a request will often get you some very nice fish. It takes a lot to photograph fish and set them up for sale or auction, so breeders let nice fish go and don’t have the hassle of re-homing or advertising them. AquaBid is a popular place to find breeding stock. There you will find some great breeders and many are in Thailand and surrounding areas. One of the questions heard from those new to the hobby is “How difficult is it to get fish from over seas?” The answer is not difficult at all. Once you are the winner of the auction, you will pay the breeder the price of the fish and an additional $5 to export the fish from their country. There is no other way around that and do NOT do business with a seller that does not legally export their fish. 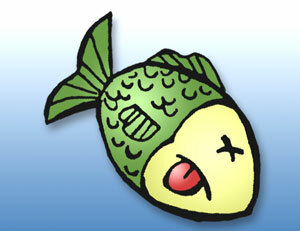 I heard a horror story of a fish shipped regular mail and it spent 2-3 weeks in the postal system. On a good note, it did survive and was bred. Fish from over seas will be packaged and sent through an exporter to the US. The exporter will have a license to export the fish and will make all the arrangements. Often there hundreds of fish being sent and they are sent to different transshippers here in the US on different schedules. As a buyer, it is your choice on who you prefer as your transshipper. You can take who ever is next to receive fish or you can have them go to you favorite transshipper. If you have several fish from several breeders you want to make sure each one understands you choice of transshipper. Once fish arrive in the US they are then sent to you from the transshipper. It makes sense to have all fish go to one person rather than pay shipping fees with different transshippers. The biggest concern for many people is what happens if the fish does not survive the trip to the transshipper? As a general rule, breeders rarely have losses shipping to other countries. When they do, the transshipper will notify both the buyer and the seller. Then the discussion is between the breeder and buyer as to what is done. 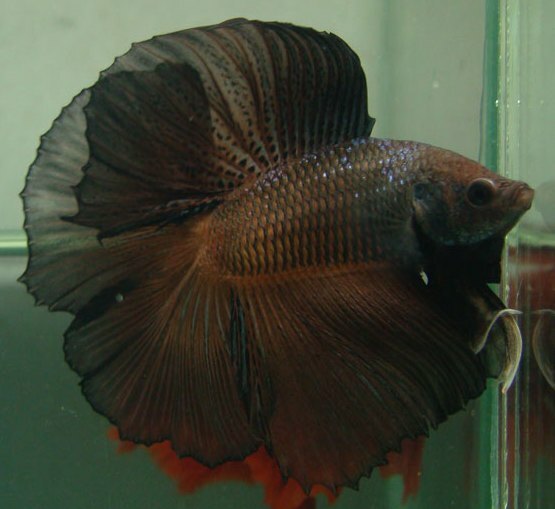 Often the seller will offer another fish as a replacement. That is good if you really wanted the fish you lost and the seller has a comparable replacement. Only drawback would be paying for shipping in the US twice. But at least you get your fish. The other option is to be refunded the price of the fish. Many think they will be refunded everything they paid the seller, but it is only the price of the item or fish that is refunded. And that is not as odd as you may think. If I order something electronic and it arrives damaged, the seller will give me a refund if I return the item. Often this means I pay shipping both ways. So the $5 export fee is the cost of doing business as a buyer. Again, it does hot happen often so the risk is minimal. But be warned it can happen and this is the standard practice for dealing with it. When you have made your purchase over seas and notified the seller your choice in transshipper, it is a good idea to send the transshipper an email notifying them of your incoming shipment. I like to let them know how many fish and from what breeders. Does not hurt to also tell them you want Express or Priority shipping and maybe the shipping address. I am of the mind it is better they have your directions twice over none at all. When fish come into the US or other countries, they must come through customs. To receive fish you need an importers license. That is what your transshipper has.. a license to receive the fish and get them through customs. They pay a fee, per fish, to receive them and bring a large shipment back to their home. Once the fish are at the house, your transshipper will make sure all fish are alive. If at this point a fish is DOA, or dead on arrival, they will notify you and the seller to work out the details of honoring your original transaction. Once both parties have been notified the transshippers are now no longer part of the equation. Contact the seller to work out a solution as stated above. And you should receive and email confirming the arrival of the fish when they are alive as well. At your transshippers house the fish should be rebagged with clean and fresh water to reduce exposure to ammonia. Some transshippers may leave them in original water from the breeder, and that will be your call to accept that, or find a shipper that puts fish in clean water. Your shipper will also send you an invoice with the total charges of shipping. Many are often taken by surprise at the shipping fees charged to get fish to their house once in the country. Remember I mentioned earlier that they pay a fee, per fish, to receive your import? Expect that fee passed along to you. And look for a box fee as well. But those boxes from USPS are free you say. Stand and cut Styrofoam for a few hours and tape up boxes and you should come to understand the box is NOT free. The Styrofoam has a cost as does the time of the people preparing the box so your fish arrive at your house in good condition. A typical charge for a box is $5 unless it is a larger box. And many transshippers will also add a handling fee. Again, it pays for their time and fuel to get the fish, time and water to rebag your fish, pack it up and time spent invoicing and following up with you. To give you a ball park, you can expect the import and handling fees combined to be between $5-$6 per fish. Add the $5 box and then your price to ship. For a small box [7″ x 7″ x 6″] you can figure Priority shipping around $10-$15 and Express $30-$35. More than four fish require larger boxes and will cost even more. If you import a fish and do not pay your transshipper, they will sell the fish and get back the fees they have already accumulated in picking up the fish and boarding it in their home. Throwing a fit will not get you your fish. Paying all fees to have it delivered to your door will. 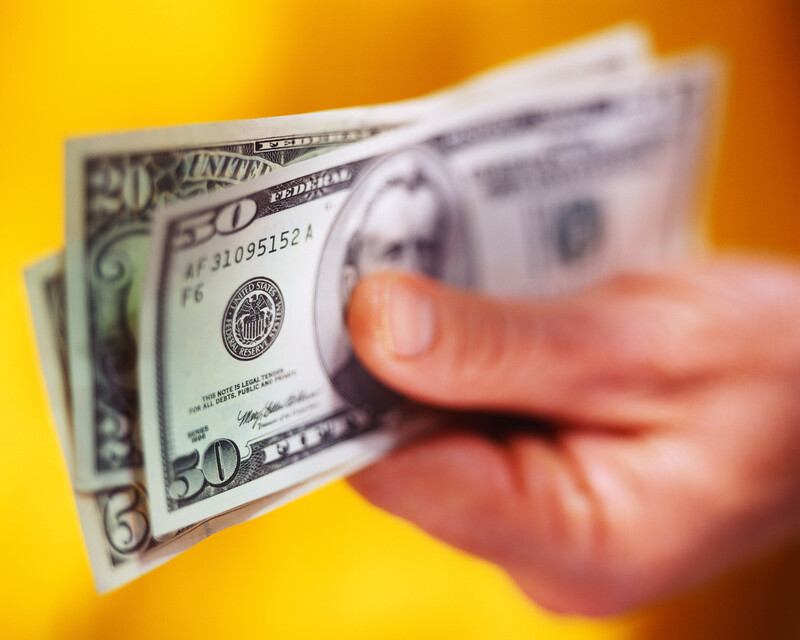 All sellers have a list of transshippers and all transshippers have a list of their fees. The time to ask questions is before they pick your fish up at the airport. You can not say you did not know as ALL have the information published for all to see. Make sure you are aware of the total cost before winning an auction, or you can lose your fish for lack of payment. If you think you are going to get fish from over seas on a regular basis, it would be wise to find a shipper you like and establish a good relationship with them. Get to know them. And if problems arise or you have a concern, an email sent expressing your concern is the best way to get results. Nasty emails with threats will get you nowhere. And most shippers have a black list. It is a small community so you do not want to be known as difficult. As a buyer it is your responsibility to order what you want. You can not hold a breeder or transshipper responsible because you did not get them the correct information in the required period of time. Breeders have a ship date. If you change your mind on a transshipper after the fish are gone, there is nothing they can do and you have no recourse. If you do not add a recommended heat or cold pack, and fish die in transit because of extreme heat or cold, you are the one responsible. Most shippers will contact you if they feel you need one, but you must allow that they have lives full of other jobs, spouses, kids and illness. When purchasing fish you have to communicate regular to make sure no issues occur with your shipment. 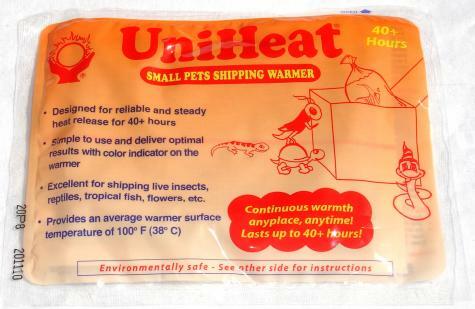 If temps get a little low and you receive cold fish and never heard from the shipper, they decided that it was safer than adding the 150 degree heat pack to that small box. Make sure your shipping address is correct in Paypal. You can add several shipping addresses and just chose the one you want when you pay your shipper. Some shippers will allow you to enter your shipping address, if different than what is in Paypal, in the comments section. I do not as it voids my sellers warranty. Again, it is YOU that are responsible to have the correct information so the transaction will go smoothly. A shipper should not have to chase after you to get an invoice paid or where you want your fish to be sent. If you receive your fish DOA, you MUST get good quality photos of the fish in the unopened bag and email it to your shipper with in an hour. If you chose to have your fish shipped Priority, unfortunately you are out the fish and shipping costs. Priority mail has the fish in the postal system several days and a transshipper can not be responsible for how packages are treated. If they were shipped Express, most shippers will guarantee live arrival. That means they are accepting the responsibility of getting your fish to you – ALIVE. They are NOT responsible for deaths because you were not home to accept delivery, or set them in your car for a few hours. And they must have proof of the dead fish to honor the guarantee. Since most people have cell phones with cameras, it is not acceptable to say you can not meet this requirement. So, as soon as you receive your box, open it and check to make sure all fish are alive. Dead or alive, notify your shipper you have received the box. If you do have the misfortune of have any DOA, send the clear photos within an hour and make arrangements to get the fish replaced or refunded. As upset as you are about the fish, an email written with respect will get you much further than insulting or threatening your shipper. None of them intentionally do anything to allow fish to die in transit. Once that box leaves their hands it is a bit out of their control. The fact that they and the breeder will still refund or ship another fish is rather amazing. Have your fish sent where they can be received. You do not want them left on a porch as the setting sun will cook them or colder temps can freeze them. If you will not be home a good option is Hold for Pickup. You just swing by the PO after work and pick up your fish. I have mine delivered to work as they will sign for them. If you live in an apartment, many will not take the responsibility of signing for any packages so the Hold for Pickup maybe your only option. As you can see there are several ways to get good quality breeding stock. And if you become a serious breeder you will probably do all of the above at least once. If you have fish shipped, know and understand the fees as well as the risks involved. Treat all involved with respect and don’t forget to show us some pictures.